← Farewell – the Libran Saturn Return! This entry was posted in 04 - New Posts: October 2012 onwards, Astrology Article Archive 1 – "Not the Astrology Column" and tagged Astrological sign, astrology, Google, Libra, Planet in astrology, Saturn, Saturn Return, Scorpio. Bookmark the permalink. I really like the idea of approaching this period from a Buddhist philosophy of living in the moment. That is a very good way to get through it. Thanks for the tips! Thanks, Selma, you are welcome. Saturn in Scorpio invites us, at times forces us, to descend into and confront the most profound dimensions of life where the real powers lie – powers that deepen us, temper us and ultimately transform us if we engage with them in a respectful, courageous and determined manner. And a sense of humour always helps! I know I answered some of this before, but I was just reminded that during 83-85 I had met and married a Scorpio, who was hellbent on proving all the negatives about his sign. He had a coffee cup made especially for him that said ” Shithead” (I kid you not), and was most upset when after about 18 months, he accidentally dropped it and broke it. I don’t think I need to tell you any more about that time, except it was a hell of a learning experience. Well, as long as we all learn something……and what a memorable piece of feedback re the coffee cup. Another one for the “you couldn’t make it up! ” file…. On the more positive side, I started my search for my birth mom in autumn 1985 and successfully found her the following April. It was her dream come true and the beginning of deep healing for both of us. All in all, the cycle was very true to its Scorpio flavor. When in Scorpio, Saturn travels through my 7th House. While I have some trepidation about this current go-round, I’m hoping to strengthen existing deep and lasting relationships while being open to new partnerships, especially in my writing and astrology work. Saturn in Scorpio really pushes us to dredge the deep channels of our lives so that, after the churning has subsided, the flow is deeper and clearer, with much old murk purged out which has been holding us back. Thanks so much for this very personal feedback which illustrates the theme so clearly. Very interesting. I had to think a bit to remember1982-85, but in those years I took my first job in a new career, moved to a second in the space of a year, and then in 1985 moved on to a third. All were steps up the ladder, so to speak, but there was a good bit of turmoil involved. Now that I think of it, one of the pivotal characters in that little drama could have used that coffee cup. Thanks for this, Linda (Shoreacres). It certainly fits the Saturn in Scorpio picture, especially with coffee cup character imagined….maybe we should go into business with Emaria during this autumn 2012-2015 period, producing coffee cups with appropriate slogan updated from 1983-5! Any suggestions, anyone?!! I’ve just discovered this blog…very interesting! 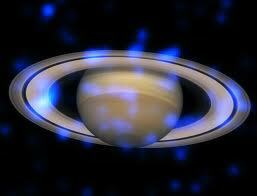 Saturn in Scorpio traverses my 6th house, conjunct Neptune (10 degrees) and my Sun (29 degrees). 1982-85 were really hard years for me: my father reneged on a promise to let me live with him in New York for 6 months while I attended CUNY in Manhatten (which didn’t have dorms at the time), and could acclimate to the city and find my own accomodations. I was only 17 and a budding dancer, singer actress and had done everything on my own without parental support. He took the opportunity to get back at me for not toe-ing the line (he called me an improper Haitian girl when I was 16) and didn’t tell me he changed his mind until the last minute when it was too late to make other arrangements. For some reason this latest rejection from him was more than I could bare and it took all the wind out of my sails for YEARS. I was devastated. I ended up staying in Chicago, stuck, depressed and in a fog through which I drifted going to a University that didn’t suit me. Even now I wonder if I have ever recovered from that loss. I did somehow manage to get an artistic career going as a performer and eventually went to an art grad school to make up for my undergrad experience but my confidence and self-esteem has always been shaky (no matter how much I work on it). And I never became a dancer. Now, my son (dob: 9th Oct 1994) is in his senior year, just turned 18 and is applying for college. He is a dancer! but only in the last few years as he never wanted to dance before and I never made him. I’m not the type to live through my child. Last year at this time was quite awful as he was taken away from me and spent some time in a 12th house situation. I think his scorpio is on his ascendent which would explain that experience. On the positive side I am giving him way more support than was ever given to me (although he doesn’t necessarily realize or appreciate it). But I have to do it for my own peace of mind. I want to know that I did my very best as a parent and then let him go. I’m hoping that this 2nd Saturn in Scorpio will afford me the opportunity to finally have the relationships and support to successfully create the career of my dreams (I’ve already been thwarted and don’t need to experience that again! ), see my son safely off into adulthood and be the rising Pheonix I know I am triumphantly flying out of the ashes of my early life into a bright and wonderful present and future! thanks so much for your contribution to my blog in leaving such honest and personal feedback on the last passage of Saturn through Scorpio – one of the things it shows clearly is that, despite deeply painful experiences, you do not give up or give in! That’s a true Scorpio trait. And a wonderfully valuable one.Saturn as it travels through each sector of the horoscope, tests us all – and more so if one has more than one planet there. I have six planets in Leo (five in the Twelfth House) and my Saturn periods in my younger life were pretty purgatorial! However, facing oneself as honestly as possible, not blaming others for the state of one’s life, and letting go (sometimes painfully) of things which really don’t work in our lives, and of persistent illusions holding us back, really helps in coming through Saturn periods and feeling on looking back that something important has been resolved. The Buddhists talk about ” forging the diamond soul” – as we survive and grow through times of crisis and transformation. I find that idea very inspiring….. I agree. Great post!I have natal Saturn in Libra at 17 degrees and a Libra steillum (including Pluto at 25 degrees and Jupiter at 27 degrees). My natal 7th house is Libra at 29 degrees! I had a romantic attachment taken away and I feel remarkably well from it! My steillum is in the 6th house and I have been SUPER busy with major changes to my daily work routine (many jobs) including a new business. Saturn will move from my packed 6th into my Scorpio packed 7th house, so I can only wonder if more lessons are entailed for the next couple of years. My natal Neptune is in Sagittarius in the 8th and Saturn will probably conjunct that planet to as it makes its way through my chart in coming years.I would love to feel that Saturn going direct as a blessing! So, I like that you emphasize the positivity of the shift in its movement. Here’s to the bonuses Saturn might hand out for all!